Brazilian powerhouse and most known CS/CSGO team ever MiBR has finally finished their coach less era by hiring Janko “YNk“ Paunović as a coach. YNk who started as a player for iNation and GamPub back in early days of CSGO has started his non playing CSGO career by being a observer for ESL events. After a while his knowledge of CSGO was noted and he was given opportunity to be an analyst. He was rocking in that role and become one of the most valuable analyst in CSGO scene – not to mention his PC fixing skills. It came as surprise to everyone when MiBR announced their newest edition as usually everything leeks before announcement is made in CSGO scene. However both sides MiBR and YNk managed to keep this quite. 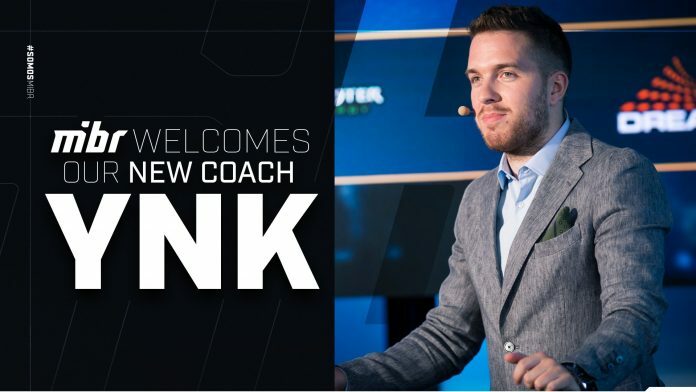 26 year old YNk‘s first day as coach will be on August 13 when he joins his new team for a bootcamp in Madrid, Spain. Many of known and famous people from CSGO scene has wholeheartedly wished best of luck to YNk. Perfect role for you! Good luck! Very interesting to see! Believe it’ll be a good “shake up”, hf lad!